What factors should you consider when buying the hearing protection devices? This is the amount of protection that the earmuffs provide you with. Noise is measured in decibels; therefore, when you are buying the pieces, you need to consider the amount of noise coming from the environment you are working in. For example, if you are looking for hearing protection for lawn mowing, you need to go for earmuffs that will provide you with ample protection against the lawn mower noise. The cool thing is that the noise reduction rating is often clearly written on the ear muffs; therefore, you can easily tell what you are getting. Do you need to communicate when you are at the work site? If you need to, you should go for passive earmuffs. These pieces will block most of the noise thus you will complete the work in peace without the interruption of the deafening sounds from the outside. If you don’t need to communicate with the other workers, you should definitely go for the headphones with radio. The pieces allow you to hear the signals over the radio while at the same time blocking all of the harmful noise. If you like listening to music (this isn’t my thing) when working, you will be able to do it when wearing these pieces. While I hate music on my ears when I’m working, Mike, one of my best friend, likes wearing the radio pieces. He says that they help him feel motivated and productive. If you are like him, you are good to go with these pieces. Chances are that you are going to be wearing the ear muffs for hours. Do you want to be ensnared with uncomfortable pieces the entire day? I bet not. You should ensure that the pieces you are buying are comfortable to your ears. Ensure that the fabric used in making the pieces is soft enough for the ear. Also, ensure that the pieces completely cover the ear giving you as much protection as possible. I have a big head thus I pay close attention to the headband. Ensure that its tight enough so that the pieces don’t move around. The headband shouldn’t be too tight to the extent that it blocks out blood circulation. You should note that when the headband is too tight, it will leave you uncomfortable and you will keep complaining about headaches the entire day. This feature is important to pay attention to when you are working in an area where you have to keep on putting on and removing the pieces. If you will be wearing the pieces one minute and removing the next, you want pieces with a folding design. This way you can easily fold the pieces and put them in a bag or any other place. Do you move around a lot? You will need pieces that have the easy storage feature. If you have to listen to signals from the foreman or other workers, you should go for earmuffs that will allow you to hear the “filtered” signals that you were supposed to hear. Are you a stylish person? While the original design hasn’t changed much over the years, different companies tweak the designs creating a wide range of pieces that come in different colors and designs that you can choose from. For you to be proud of your purchase you should buy pieces that match your personality and sense of style. For example, if you are an outgoing person, you want pieces with bold and loud colors. On the other hand, if you are a reserved individual, dark colors are your best bet. Finally, you need to consider the money factor. If you are like me, this is the first thing you look at to tell whether you will buy the pieces or not. Just when buying any other thing, you should note that the cost of the pieces is directly proportional to their quality. This means that if you are looking for high-quality pieces, you need to part with a substantial amount. While this is the case, you should note that there are some brands that are too expensive. I recommend that you avoid these as you will end up paying for the brand and not the earmuffs. Your eyes should be on the price of the ear muffs but you shouldn’t buy those that are too cheap as chances are that they won’t last for a long time. They also might not provide you with noise protection you are looking for. Which are the best brands to buy? 3M: 3M has been around for a long time. 3M earmuffs are known for their durability and comfort. 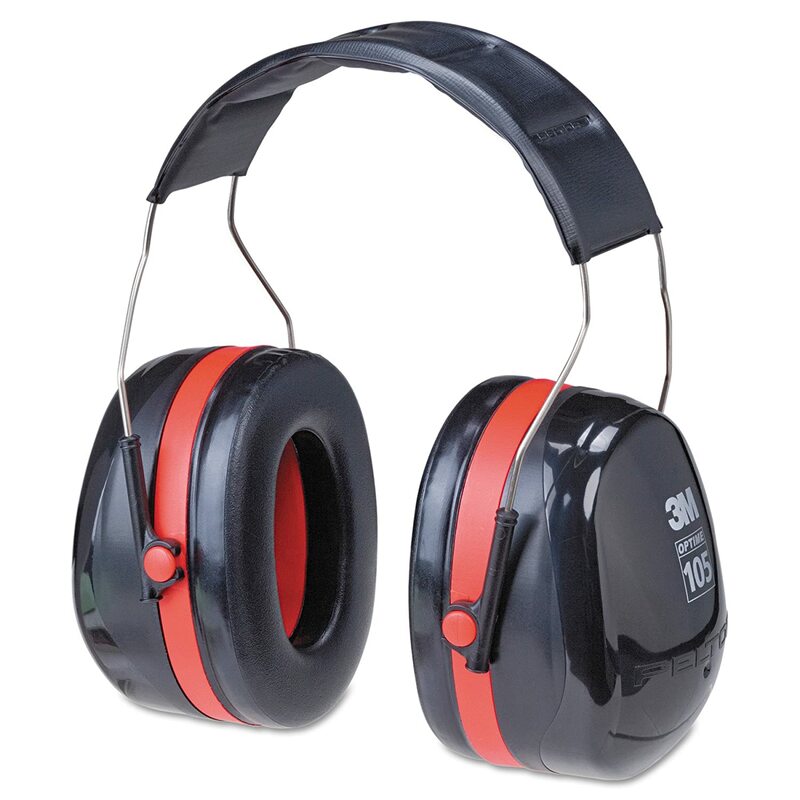 Unlike other earmuffs in the market that you can only use in specific situations, you can use 3M in almost any area. are you looking to undertake woodworking, lawn mowing, or any other activity? You can definitely use these pieces. Howard Leight: If you have been looking for earmuffs for some time you must have come across Howard Leight ear muffs. While they are of many types and come in different designs and you can use them in a wide range of areas, they are most effective when you use them in construction sites. 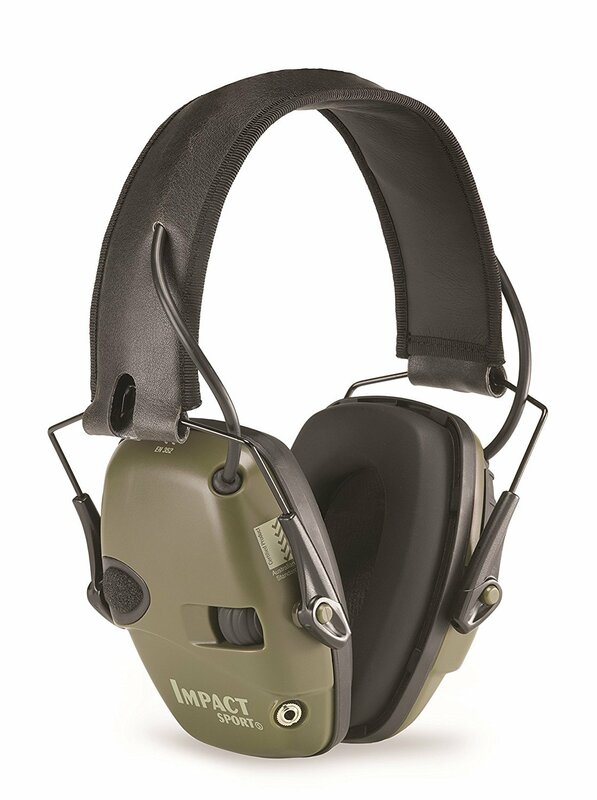 Caldwell: Just like Howard Leight, Caldwell ear muffs are ideal for use in the construction sites. Recently, the company started manufacturing earmuffs ideal for use when you are shooting using a short gun; therefore, if you are looking for the best earmuffs for shooting, you should think about giving these a look. 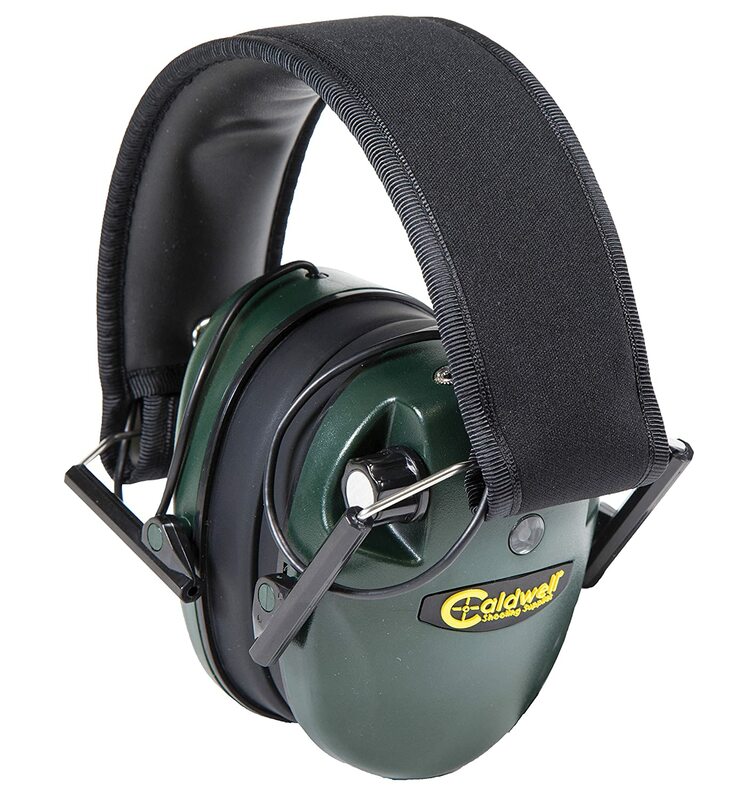 The most attractive thing about Caldwell earmuffs is that their NRR is higher than most earmuffs in the market. According to the manufacturers, the pieces have an NRR that goes above 85 dB. This gives you peace of mind that you will be fully protected regardless of the amount of noise you are exposed to. Pro For Sho: The company aims at making the lightest earmuffs in the market that provide you with the highest hearing protection. While you can use them in almost any area, they are popular with people looking for hunting earmuffs. They come in many elegant designs that are often attractive to ladies. Are you a lady and looking to protect your hearing? These are you go to pieces. Decibel defense: The company isn’t as popular as the others above, but this doesn’t mean that the pieces are of low quality. The NRR ranges between 25 dB and 85 dB. Just like the other pieces in the market, you can use these pieces for a wide range of applications, but they are popular with people working in the construction sites and hunting grounds. Walker’s game: These are other less popular pieces that are very popular with people in the hunting arena. The attractive thing with the pieces is their technology that allows you to hear important noises such as the game approaching. The pieces also cancel the noise of the gun thus protecting your hearing when having fun. Which are the best earmuffs for noise reduction? I bumped into these pieces when I was looking for the best hearing protection for shooting. When I decided to take up shooting, I thought any earmuffs could get the work done. I went for the first hearing protection pieces I came across. How disappointed was I? If you are into shooting, you are aware of the loud noises made by the gun. Imagine facing the noise without any form of protection? Depressing, right? At the end of the shooting session, my ears were ringing like the St. Mary bells were having a party in my head. There was no way I was attending another shooting session with the malfunctioning earmuffs. During my research, I bumped into these pieces and for the two years I have used them, I have never been disappointed. Will they provide you with noise protection? The pieces have an NRR of 22. This rating is enough to block most of the noise coming from the gun that would damage your hearing. In addition to the high noise reduction rating, the pieces also have a feature that automatically shuts off the noise when it reaches 82 dB. This comes in handy in protecting your ears. You should note that while the pieces block most of the noise, they allow you to hear the instructions given or your partner. This is made possible by the strategically placed microphones that amplify the sounds. It’s discouraged that you listen to music when shooting as you are bound to lose focus but if you are comfortable with the guns or you are working in area that doesn’t require a lot of concentration, you can go ahead and listen to your mp3. Are the pieces comfortable to wear? You can bet they are. One of the things that got my attention is their weight. While they have a sturdy construction, they are very lightweight. This makes them very comfortable as you can wear them comfortably the entire day without feeling as if you are carrying the entire world on your head. The pieces also have comfortable low profile ear cups that come in handy in ensuring that you are focused when shooting or working. The adjustable headband also contributes greatly to the comfort. The headband provides you with a secure fit thus the pieces don’t have to keep on coming off. The cool thing is that the headband is padded which increases its comfort levels. I understand as an earmuffs user you have come across pieces that come apart after one or two uses. Not with these. I have been using mine for over two years and I have never had any issues with them. The only thing I have done is to replace the ear cushions. Howard Leight earmuffs are made from a high-quality plastic that doesn’t break easily even when you drop them. For the pieces to last for a long time, you should take good care of them. This calls for you to avoid using them in harmful areas such as areas with a lot of heat. You should store them in cool area away from harmful materials. When I was buying a pair for my girlfriend, I noticed that there is a great variation in price based on the color. For example, while I bought the green earmuffs for $35. The black ones that my girlfriend wanted were going for $80. And the only difference was their color. When I’m not shooting, I spend time in my workshop joining things. The noise from the work working saws is much higher than that from the guns. You are also exposed to it for a longer time. I bumped into these pieces when I was looking for units that would provide me with the highest levels of noise protection. What attracted me to these pieces is their recommendation. When I was doing my research, I found they are recommended for extremely loud conditions. right away, I knew they were my go to pieces. Do they live up to their recommendation? Yes, they do. When I wore the pieces that I normally use for shooting, I could still hear the saws and the noise was annoying. When I wore these, they blocked most of the noise. In fact, in some instances, I couldn’t hear the saws at all. The pieces have an NRR of 30 dB which is high enough to provide you with the protection you are looking for. With the high noise reduction rating, you can work in areas with noise levels of up to 105 dB. The high noise reduction rating is made possible by the presence of the “double shell” ear cup design. This is a design where two cups are connected via a foam inner layer that blocks as much noise as possible. I have used other earmuffs in the market and I have to say that these aren’t the most comfortable pieces I have worn. No. This doesn’t mean that they are uncomfortable. It’s just that there are other more comfortable pieces out there. The manufacturers have done their best to increase the comfort levels. The pieces have a high-quality stainless steel headband that distributes the weight ensuring that you are comfortable working. The pieces also have soft, foam-filled cushions that keep the earmuffs comfortably against the side of your head. This not only ensures that you are comfortable the entire time you are wearing them, it also aids in blocking the noise thus increasing their noise reduction. The earmuffs are also lightweight thus you can easily carry and wear them. How long will the earmuffs last? It’s hard to tell the durability of the pieces as it depends on a wide range of factors such as how well you take care of them among many other things. Since the units are made from high-quality plastic, you can be sure they will last for a long time. I have had mine now for over a year and I haven’t encountered any problem with them. For the pieces to last for a long time you need to take good care of them. Earmuff manufacturers report that most of the pieces get damaged due to constant bending and falling. For your earmuffs to last for long, you should protect them from falling. I wear glasses and noticed that the pieces aren’t designed for people with glasses. This is because the glass stalk interferes with the seal around the ears allowing the noise to get it. Let me be honest. The main reason I went for this Bluetooth device is that it has elegant design and high-end look. Since I couldn’t afford the original designs with the high-end look, I had to go for these. Since they are much cheaper, I didn’t expect much from them, but how surprised was I? Do the pieces provide noise protection? As mentioned, I didn’t expect much from these due to their price. I was planning to use them when mowing the lawn. When I put them on, the units blocked most of the noise, although, not all of it. While the lawnmower is noisy, you can’t compare it to saws and guns. This means that if you are working in a workshop or you are into shooting, these pieces might not provide you with optimum noise protection. You should note that this isn’t to say that the units don’t protect your hearing. If you want maximum noise protection, you need to make use of the passive noise isolating feature. When you use this feature properly, you can cancel most of the noise without draining the battery. If the noise is still high even after wearing the earmuffs, you should consider draining it using music. The headphones have a cable that you can use to connect the headphones to your device and listen to your favorite music. 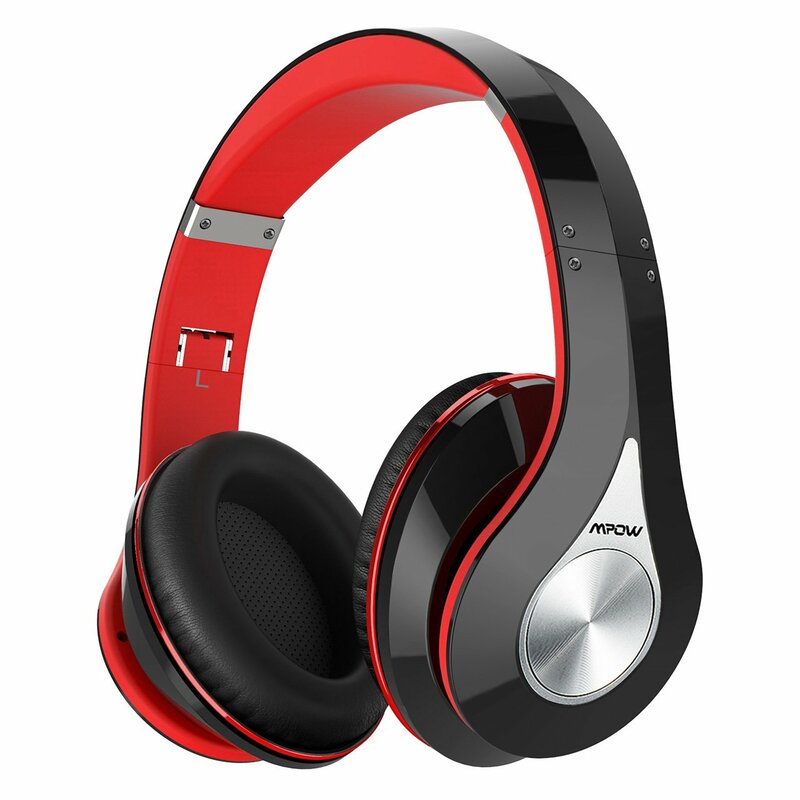 What Mpow has lacked in noise protection, it has compensated on comfort. I can confidently say that these earmuffs are one of the most comfortable pieces I have worn in my life. The pieces have a memory protection ear cushion that simulates the human skin texture. This ensures that you are comfortable the entire working time. Do you have a large head like me? The stainless steel slider and softly padded headband comes handy. The headband allows you to achieve a perfect fit so that you are comfortable the entire time. The foldable design of the pieces also comes in handy in not only saving your desk space, it also makes it easy for you to carry them in the bag or when you are done with your work. Due to their high end look, you might have the impression that the units will be heavy. Far from this. In fact, they are one of the lightest pieces I have worn. The lightweight means that you can wear the pieces for hours without feeling as if you are carrying the weight of the entire world on your shoulders. This is the question that every person asks themselves. If you are like me, you don’t want to buy hearing protectors that come apart after just a short while. These pieces are made from high-quality plastic; therefore, you can have peace of mind that they will last for a long time. While the protection devices can last for a long time, you should take good care of them. This calls for you to fold them with care so that you don’t break them. Once you are done with your work, put them back in the case so that they don’t collect dust. You also need to regularly clean the pieces to maintain their elegant look. Cleaning the pieces also gets rid of harmful bacteria that would result in damage. These earmuffs were introduced to me by a shop owner I went to buy from after I had forgotten my regular shooting earmuffs at home. When I went to the store, I was simply looking for pieces that would provide me with short-term protection—protection for only a day. I’m happy to say that they are one of the best pieces I have come across. How is the noise protection? The pieces have a 23 NRR which is high enough to keep off most of the noise, including the gun noise. The pieces also have two microphones that compress the high noises thus keeping your hearing safe. If you feel that the noise is still high even after wearing the noise protection devices, you can always connect the radio. The hearing protection devices come with an integrated audio jack that you can use to connect to your MP3 player or phone and listen to your favorite music while working. For you to get the most from the pieces, the manufacturers recommend that you prevent the cushion seal from being impaired by objects. This calls for you to ensure that there is no excessive hair, eyeglass frames, or pencil between the cushion and your head. How about the comfort levels? After wearing the pieces for the first day, I made them the official shooting earmuffs. In addition to blocking most of the noise, they are also very comfortable to wear. This is made possible by the presence of padded headband and adjustable cushioned ear cups that provide a snug fit. The cups also provide top-notch comfort so that you can be comfortable the entire time. Unlike my previous shooting earmuffs, these pieces have smooth surrounds and have a soft feel. Due to this feature, you don’t have to worry about maintaining a tight seal while wearing the glasses. I hate carrying bulky objects. I liked that I could easily fold the pieces into a small size and carry them in my bag. Even if you don’t have a bag, you can easily carry the earmuffs in your hands. How durable are the earmuffs? I can’t really say about the durability of these pieces as I have only used them for a few months. From the construction of the units, I can tell that they will last for a long time, unless you misuse them. The earmuffs are made from high-quality plastic that can only break if you drop or step on it. For the pieces to last for a long time, you should clean them regularly. You also should avoid bending or modifying any portions of the earmuffs or headband. From their name, they are designed for shooters, but I use them when lawn mowing and I have never had issues with them. The units provide you with 34 dB of noise protection. This protection is high enough to protect you from major sources of noise. 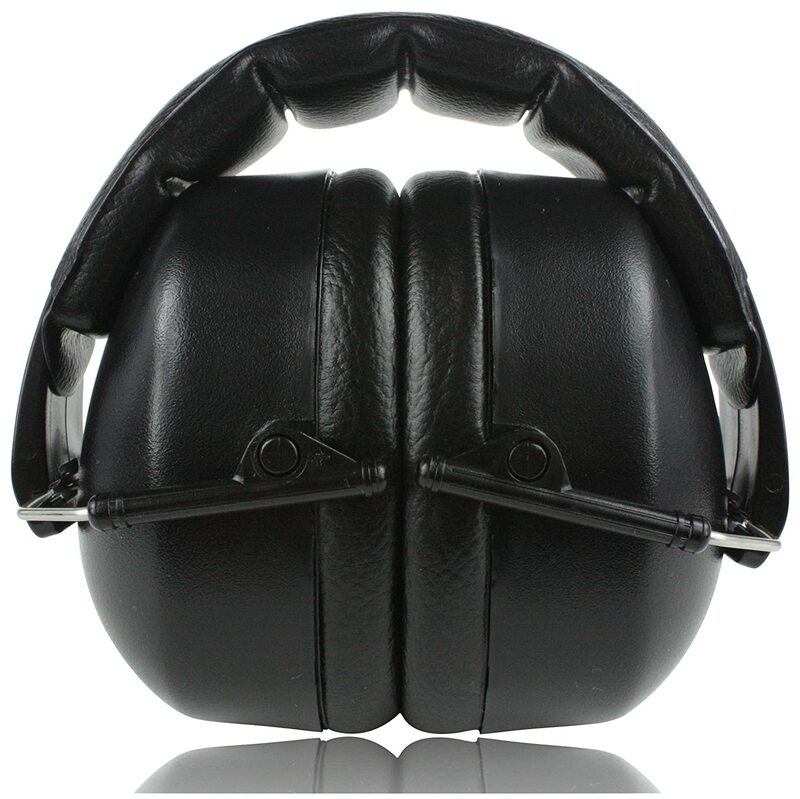 While the noise protection is quite high compared to other earmuffs in the market, it’s not the highest in the market as stated by the manufacturers. When I slap them on when mowing, I can’t hear the sound of the lawn mower at all. In fact, sometimes I forget how a lawnmower sounds like. They aren’t the most comfortable ear muffs in the market but I have to say that the manufacturers have put a lot of effort into them. The pieces have cushions that ensure that you are comfortable all the time when working. I have a large head and I always have issues with most of the earmuffs. To make it easy for everyone to wear them, these earmuffs have an adjustable headband that you can use to find the right fit for your head. On first look, the earmuffs are big and bulky. In fact, when I saw them for the first time, I thought they will be too cumbersome and uncomfortable for me. How wrong was I? While they are large, they are very light. In fact, you can’t tell that you are wearing large pieces when working. The pieces also fold up very well making it easy for you to store and transport them once you are done with the work. Who wants pieces that will come apart after just a few uses? Not me. Since they are made from a tough plastic, you can be sure they will give you a long service as long as you take good care of them. For them to go for a long time without developing issues, you should play your part and take good care of them. this calls for you to regularly clean them. You also should avoid dropping them every now and then. Since I have a large head, even after adjusting the headband I found the pieces still too tight. These are some of the best earmuffs for noise reduction that you should consider when making the purchase. For you to get the most from the pieces, buy from a reputable brand. You should ensure that the earmuffs you buy have a high noise reduction rating to provide you with maximum noise protection.